Q. How do I order articles the library does not own? 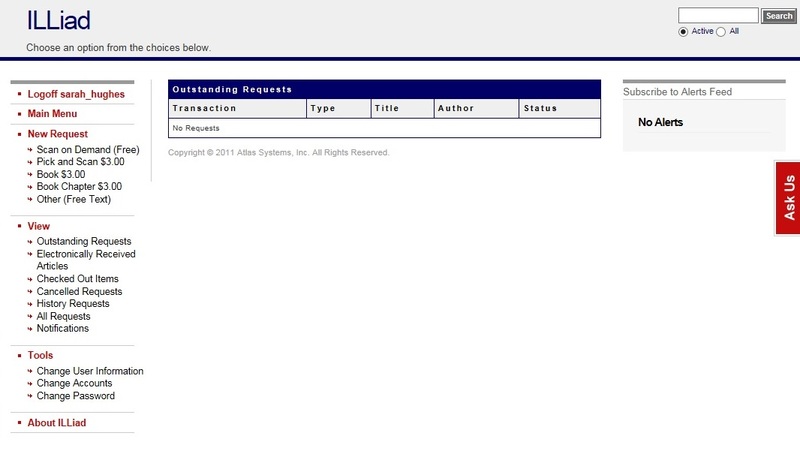 In order to obtain articles that the library does not own, you must place your request through ILLiad, an electronic system used for Interlibrary Loan services. There is no charge for this service. From the HSL homepage on the left side of page look under “Under Quick Links” within “Services” and click Interlibrary Loans. If you are a new user, please register for an ILLiad account. Make sure you have an active library barcode before registering. On the main ILLiad login page, under Username and Password fields, click the New Users link. You will be linked to a page to read the First Time User Registration for Interlibrary Loan information. Once finished, click the First Time Users Click here button. Once you are registered you will see the ILLiad homepage. Once registered on ILLiad there are two ways of ordering material: manually through ILLiad or through PubMed using NYMC’s Article Linker button. Once you are logged in from the HSL homepage using library barcode/password, click under Quick Links to search within PubMed. When you want to place an order for an article we do not have full text access to, go towards the top right hand side of the page under Full Text Links and click the NYMC Article Linker icon. You will then be linked to log into ILLiad (if not signed in already). Once logged in, the proper fields should automatically be filled in for the article requested via PubMed. 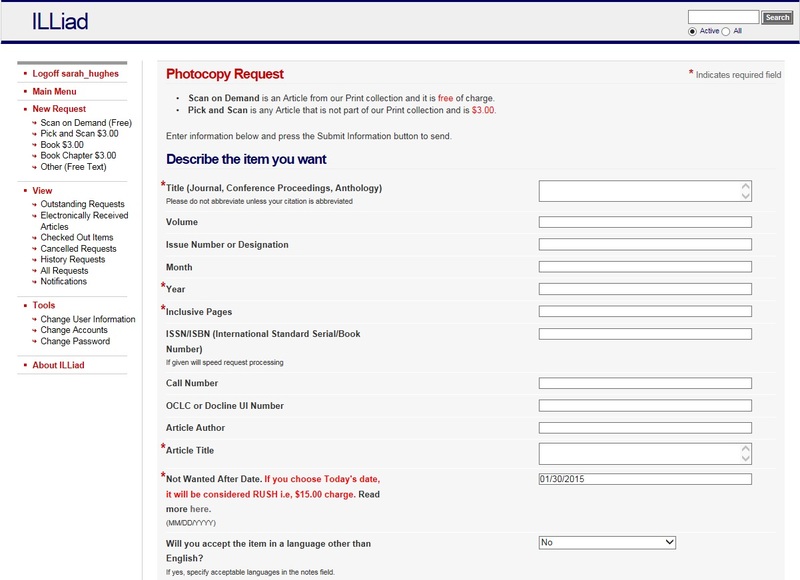 If you do not want to use PubMed to submit a request, you can manually place a request for an article or book. Please type in N/A if unsure of parts of the required citation information. Do not hesitate to contact Access Services at 914-594-4200 or email hsl_nymc@nymc.edu with any ILLiad related questions!